You can’t help but think of Christmas when you hear the word “chestnut,” but this little nut not only provides a little extra lean protein to your diet in the late fall and winter months, but also boosts the immune system and has been known to be nourishing and tonic to women going through menopause. This entry was posted in Asia, Greece, Healthy Lifestyle, Menopause, Natural & Alternative Health, Nutritional Health & Recipes, Published Articles, Women's Issues, World Culture and tagged Chestnut, Chestnuts, Eating Chestnuts during menopause, Food for Immune System, Food for Menopause, Food for Menopause Issues, Health Benefits of Chestnuts on January 7, 2014 by Constadina. Many people think baklava, galaktobouriko, kourambiethes, kataifi, diples and karidopita are some of the most common Greek desserts. They aren’t exactly low-fat or low in sugar, and often people avoid entering Greek bakeries in Greece when on vacation to make sure they look great in their bathing suit. Believe it or not, there was a time where sugar was not easily accessible in Greece and there were desserts and snacks made that did not compromise one’s health. If you pay attention, you will find these traditional bakeries across Greece that are slowly becoming more common. 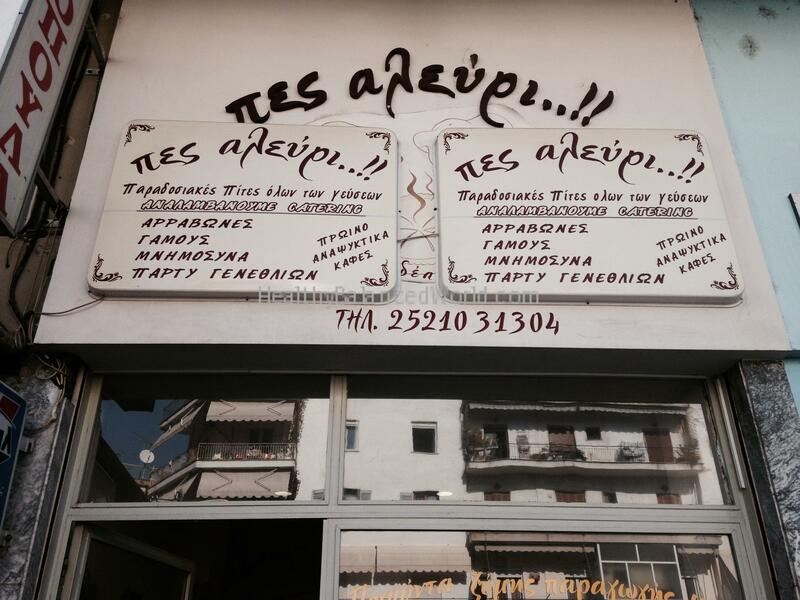 My favorite healthy snack in these types of bakeries is called “Kritsinia Iliosporou” or written in Greek “Κριτσινια ηλιοσπορου,” and are a little narrow cigar-shaped multi-grain cookie that is as light as a feather and rolled in sunflower seeds. Pites, or savory pies, are another thing you can find at these traditional bakeries, with a variety of ingredients. 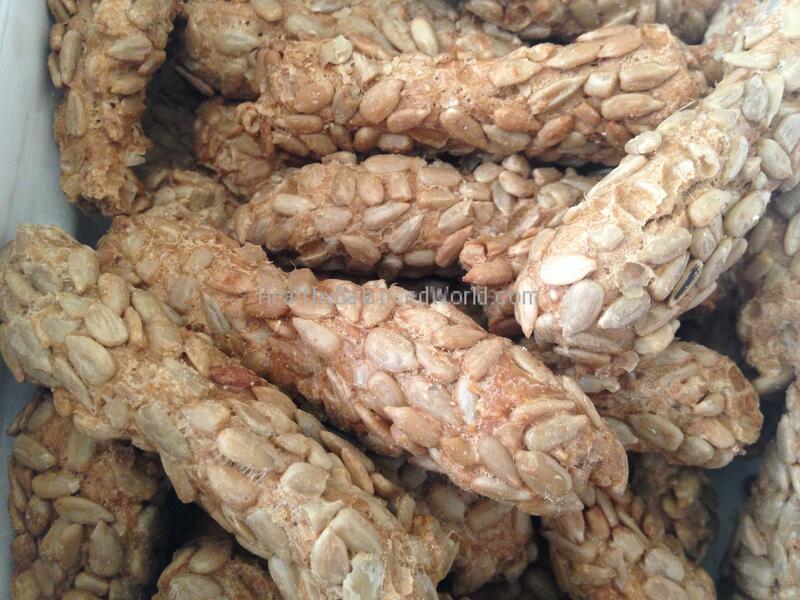 This entry was posted in Greece, Healthy Lifestyle, Nutritional Health & Recipes, World Culture and tagged Greek Desserts, Healthy cookies, Healthy Greek Cookies, Healthy Greek Snacks, Healthy Snacks, Multigrain cookies, Multigrain Greek Cookies, Sunflower seed cookies on January 7, 2014 by Constadina.